Magento vs. Shopify: Which is Better? 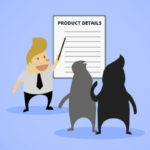 In the ecommerce realm, choosing the best CMS for your online store is not a walk in the park. There’s a lot of debate on whether you should go for Magento and take your store to the next level, or if you should opt for Shopify and sidestep all the technical hassles and just get on with your online business. The answer is not easy, though, but this is why we are here. We’ll make your life easy by conducting a head-to-head comparison of Magenticians and Shopify and explore in-depth the features, performance, and pricing, etc., to help you decide once and for all which is the better platform for you. Even though you’re on a Magento-centric website, we’re going to keep this showdown completely bias-free and give both the popular platforms an equal chance to impress you with their shiny armors and gears. Before you can dive into the details, though, here’s an awesome infographic on Magento vs. Shopify we created for you! Inventory management – While inventory management is available on both platforms, Magento allows you to add as many products as possible. Shopify, on the other hand, limits you in adding products based on the plan you choose. Shipping Charges Calculation – Both platforms have a flexible calculation system and don’t have any kind of limitations. Discounts and Coupon Codes – You can create discounts and coupon codes in Magento out-of-the-box. If you opt for Shopify, the starter plan won’t make the cut and you’ll have to purchase a higher plan. 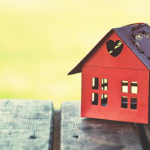 Themes and Templates – It’s a tie when it comes to themes and templates. There are tons of free themes available for both platforms. But free themes have limitations, and if you want to go above and beyond what free themes have to offer, you can purchase premium themes on both Shopify and Magento. Payment Gateway Options – Shopify beats Magento here by a mile. With over 70 payment gateway options, Shopify is a no-brainer if your favorite gateway is not available on Magento because the open-source platform has significantly fewer options. Multi-Languages Support – Magento gets the edge here with support for several languages that come built-in. Shopify, unfortunately, does not support multi-lingual support. SEO Capabilities – Once again, Magento and Shopify can stand shoulder to shoulder in this department. Both offer powerful SEO options for you to take your online store to heights of success. 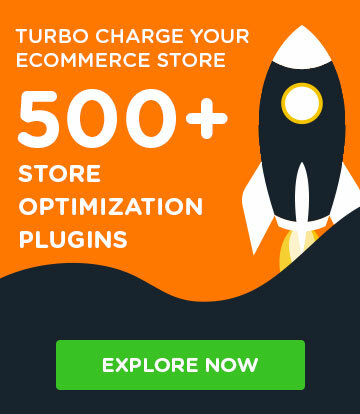 While both are laden with features, Magento edges Shopify here due to its open nature and a plethora of functionalities that trump Shopify unless you are ready to shell loads of money on Shopify’s Plus plans. Speed and performance are two of the most important factors that account for the success of an ecommere store. Users prefer shopping on fast and quick-loading stores so that they can browse swiftly, decide, and buy products with ease and comfort. On the other hand, stores with slow speed and high-loading times usually result in loss of users and customers. Magento is a powerful CMS and more feature laden than Shopify as pointed out earlier. While this is an advantage, it does result in a slight compromise in speed and performance. 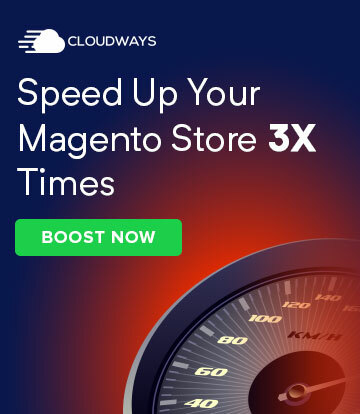 This does not mean that Magento is a crawler, though, but there’s a significant difference in load times and overall performance in Shopify and Magento. Shopify is fast and loads up pages swiftly. Magento struggles. Shopify wins. Security mostly depends on how well optimized and careful you are with your online store and overall practices. Almost 30,000 websites are hacked daily, so safeguarding your website and ensuring that the best security plugins and updates are in used is one of the best ways to stay clear of security lapses. If security is a major concern (it always is! ), then Magento gives you the flexibility to keep a close eye on security yourself, but that mostly means added responsibility. If you opt for Shopify Plus, on the other hand, you have a major upper hand in security. From SSL encryption to Level 1 PCI DSS compliant, Shopify will keep you in a far secure environment without much effort. 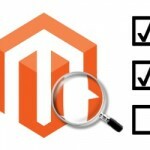 With Magento, you’ll have to take care of it all yourself. But Magento’s security can be as tight and robust as you intend it to be because everything is your hand, and also because Magento regularly sends patches and updates to keep you secure. Magento and Shopify both are powerful ecommerce CMSs in their respective ways. Both sport great user-interfaces and have plenty of options to play around with and do whatever you have to with your online store. However, when it comes to ease-of-use, one platform beats the other without much effort. And here’s where Shopify takes the cup in the Magento vs. Shopify debate. While Magento is open-source and gives you more flexibility in terms of what you can do with your store, you’d have to have experience and the know-how to make changes and go through customization. Comparatively, Shopify is a walk in the park. The Wizard mode in Shopify allows even a beginner with no knowledge of code can set up a store in no time. So if convenience and ease-of-use are what you are looking for, Shopify is a no-brainer once again. Support is crucial no matter which CMS you go with. If the platform you choose does not have a well-established support system, you might face serious issues without any solution later on. 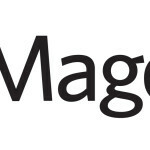 Magento is an open-source platform, as mentioned earlier, and has a large community worldwide that provides support and keeps the wheels spinning for new and old users. Magento is host to hundreds of thousands of merchants worldwide and there are numerous events and meetups that take place around the world frequently. This all boils down to enormous support for the platform and always available solutions to all your Magento related problems. Shopify is also gaining a lot of traction and thousands of merchants have started using it on a daily basis. However, as far as support is concerned, for a robust support system, you’d have to buy their premium plans. In contrast, the basic community version of Magento has better support. Since Magento is an open-source platform, there’s no question of paying any fee or money to use it. You can deploy a store on Magento for free, which makes it a great choice for most merchants who don’t have huge budgets. Shopify, on the other hand, starts at a fee of $29 (there’s no fee for setting up a store on Shopify, though), and goes up to $299 for the Advanced Plan. And these are the monthly charges, not a one-time payoff, so do keep that in mind. However, with Magento, you’d have to incur hosting charges which you’d have to buy from hosting vendors like Cloudways. While Magento does have an insanely expensive version that costs around $18000/month, it’s not intended for the average user. It was a tough call, but considering that Magento wins in the features, security, pricing, and support departments, it is safe to say that Magento should be your go-to platform for an online store that will take your business far! If you have any thoughts to share, feel free to use the comment section below and discuss your gripes!